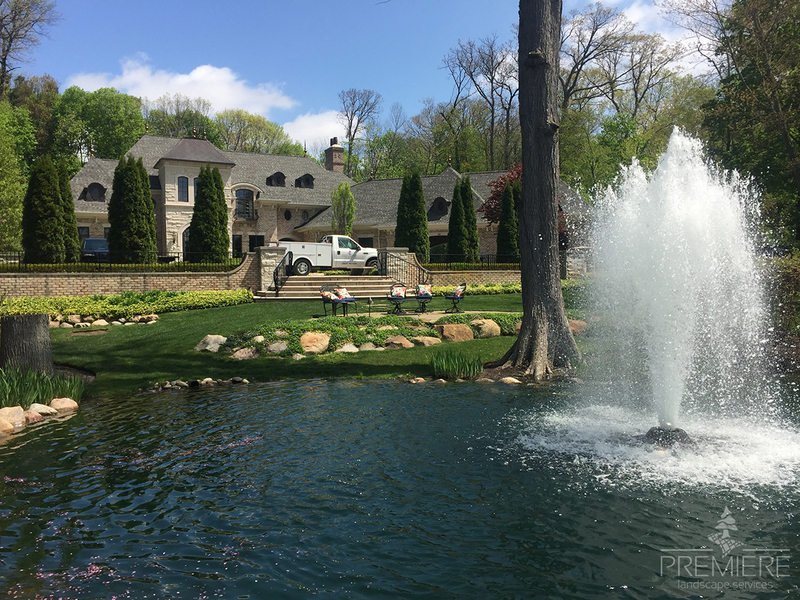 Premiere’s state of the art equipment and skilled service crew will provide you with customized watering solutions for your landscape. We design, install and maintain irrigation systems around the unique parameters of each customers lawn and landscaping needs. Not all irrigation systems are the same…neither are all irrigation service technicians. Our highly experienced and trained technicians are here to provide commercial and residential installation, renovation, start-up and winterization services to irrigation systems of all sizes. We don’t just offer 100% coverage. Your system will be designed and installed for head to head coverage with matched precipitation rates in each mico-climate of your grounds. Our experienced and knowledgeable technicians can also diagnose your pump and fountain needs. We use only the best materials available from the most widely used and trusted names in the irrigation. From design to installation to maintenance and service we are here for you.